Posted October 3, 2007 by Kathy & filed under Uncategorized. We have added classes in October. Kelly Fowler is introducing you to "Colour Blocking, October 22 and "The Magic of 3" on October 29. Kelly "combines artistic expression with documenting heritage. Her passion for writing and creating carries through into making beautiful pages, with the ultimate goal of telling her family's stories. Presenting a fun, simple style Kelly has been published in Creating Keepsakes and Memory Makers scrapbooking magazines. " scrapandbean for full class descriptions, dates and times. Do not forget about our ever popular card classes, either. The card classes are a great time to complete all occassion cards, while learning techniques and tips. Class descriptions, dates and times are also posted on the website. Posted October 2, 2007 by Kathy & filed under Uncategorized. Posted September 25, 2007 by Kathy & filed under Uncategorized. it has great photography lessons for the enthusiast and "an emotional appeal." Posted September 23, 2007 by Kathy & filed under Uncategorized. We received product at the store again. The chipboard is a great thing, with shapes and fonts from basic grey. Mellow seems to be my favourite and the obscure line can definitely push the limits. However, i have to say that the cosmo cricket biography album is a great idea! This suitcase opens up to reveal a shadow box on one side and an 8*8 album on the other side. Posted September 20, 2007 by Kathy & filed under Uncategorized. i want to lead you to a really great website, if you haven't gotten there already! just click on my title entry above to go to the site. Posted September 19, 2007 by Kathy & filed under Uncategorized. 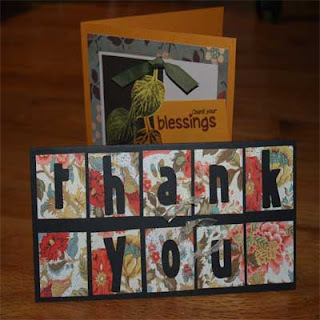 I want to congratulate Betty-Ann Hamel who won our scrapbook and stamping package from Scrapfest. Posted September 17, 2007 by Kathy & filed under Uncategorized. Posted September 15, 2007 by Kathy & filed under Uncategorized. Posted September 12, 2007 by Kathy & filed under Uncategorized. Oh how i ask, do they come up with all this innovative product. check out what we have at the store. Its fun, its new and i sure hope it sparks your creativity into full-gear.